'Duyvis Double coated peanuts, barbecue-paprika flavour.Tigernuts, dangerously delicious! 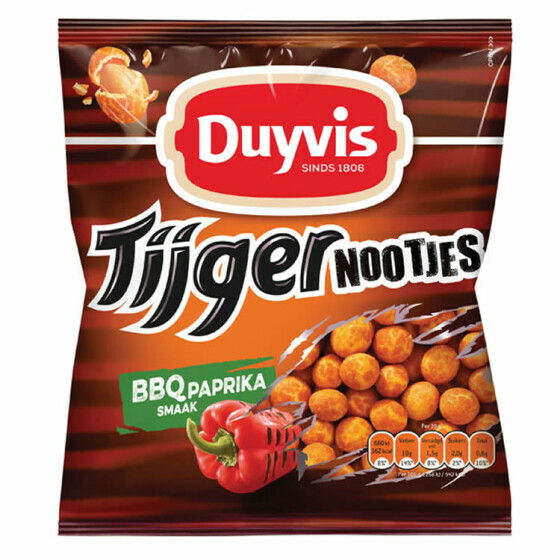 Duyvis tiger nuts barbecue paprika is an even more spicy variant of the famous tijgernootjes. Duyvis is one of the most famous and leading producers of nibbles and sauces in the world. You do not know Duyvis when you didn't try tiger nuts, a trade mark by Duyvis. 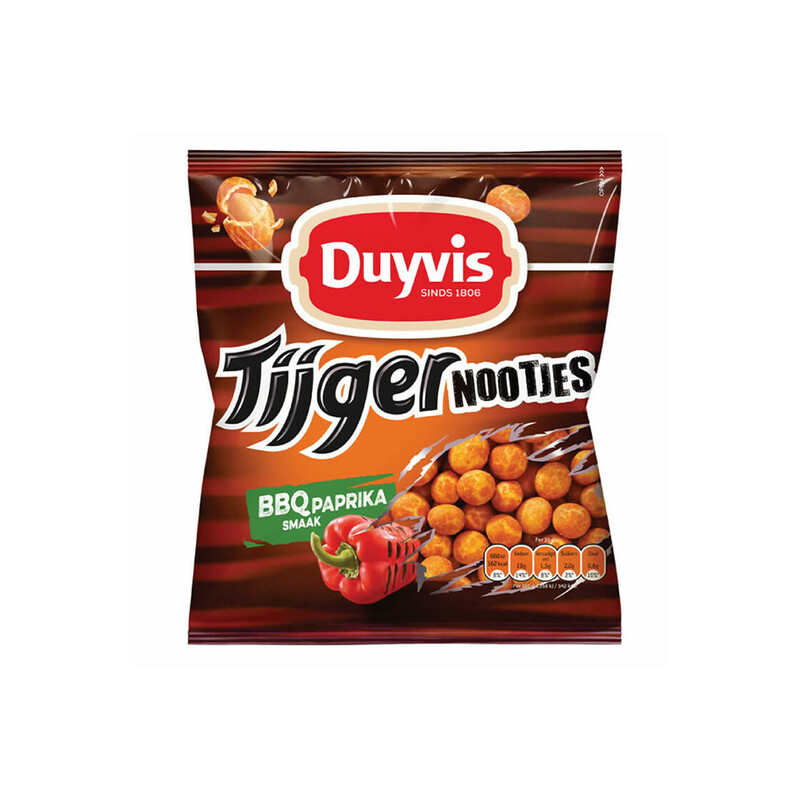 Original Duyvis tiger nuts come in various tasty sorts: bacon cheese, barbecue and satay curry. Duyvis tijgernootjes barbecue paprika is a perfect appetizer, when you're welcoming your friends. They go with all sorts of soft drinks, beer and wine. These perfectly coated peanuts will certainly convince you, your family and friends. Enjoy Duyvis tiger nuts barbecue paprika together and have fun! Duyvis Double coated peanuts. Typical Dutch double coated nuts also called Borrelnootjes. Double coated peanuts with bacon-cheese flavour.